A HondaJet Elite demonstrator pauses on DWC’s ramp. The new variant offers several upgrades. Honda Aircraft obtained Japan Civil Aviation Bureau (JCAB) approval for its HondaJet Elite. JCAB validation comes six months after Honda Aircraft opened the order book for the model through its dealer in the region, HondaJet Japan. Since that time, Honda Aircraft has received orders for more than 10 of the model. Deliveries on those orders are expected to begin before the end of the year. The validation marks a significant step forward in the HondaJet program that had previously generated substantial interest in Japan but until this year had not been offered for sale in the country, the home of Honda Aircraft parent Honda Motor Company. 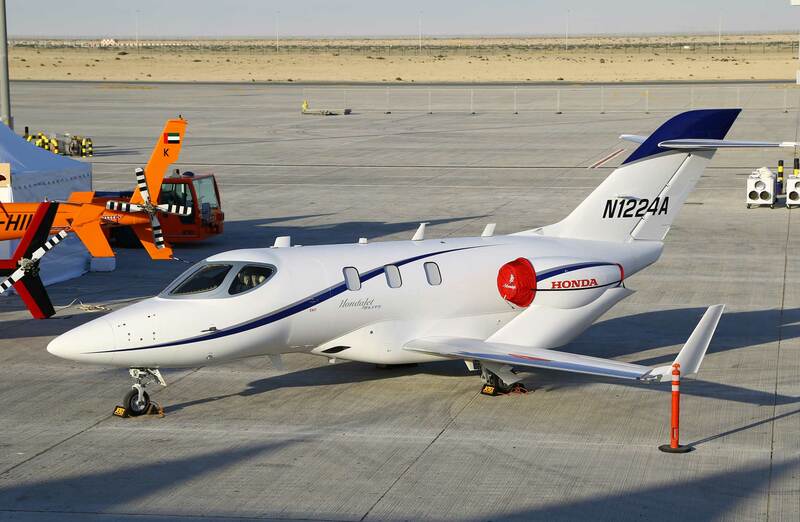 Honda Aircraft unveiled the Elite, the follow-on to the original HondaJet, last May at EBACE, and began delivery of the model in August. The Elite, which additionally has received U.S. FAA and EASA nods, expands the performance envelope while adding interior improvements and updates to the Garmin G3000-based flight deck.